How to paint real Fire, Richard has put together an easy 3 step video for anyone, beginner to expert artist, to be able to now achieve realistic flames. New updated Bonus footage. Now with a new colour mixer RED OXIDE from Auto Air Colors plus Transparent White, Transparent Yellow & Reducer, you have the perfect fire colour setup. See our Auto Air paint range for your flame paint requirements. 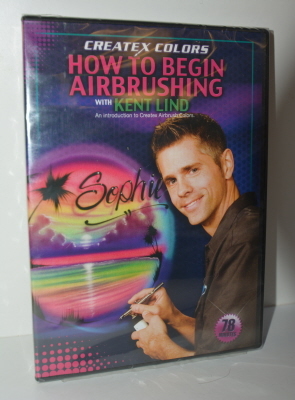 The Ultimate Airbrush 5-DVD Training Set Featuring the world's most Photographed Truck. 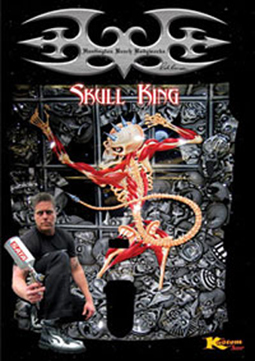 "Skull King" with airbrush artist Terry Stephens and Painter/Owner Rich Evans. 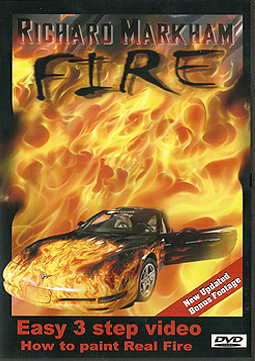 Videographed by Jake Chacon, this DVD is 335 minutes. That's more than 5 1/2 hours of information and instruction. Just as the successful hunter knows how his prey thinks, the successful artist knows the anatomy of his subject. According to kustom master Cross-Eyed, "Out of hundreds of skulls I've seen painted on motorcycles, only about 2% were rendered correctly! Believe it or not, most artists attempt skulls without really having any clue what they look like." 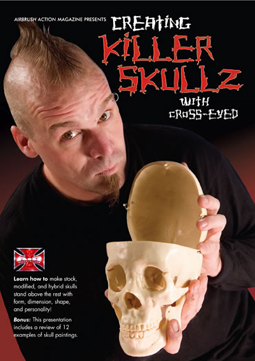 Creating Killer Skullz shows you how to make stock, modified, and hybrid skulls stand above the rest with form, dimension, shape, and personality. As a bonus, this presentation includes review of 12 examples of skull paintings. "In custom painting,theres a simple, and true, rule of thumb: The faster you complete a job, the more money you&ll make. 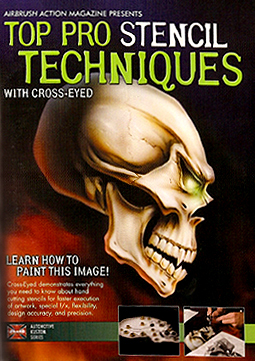 In the course of painting a dramatic evil skull, Cross-Eyed demonstrates everything you need to know about hand cutting stencils for faster execution of artwork, special f/x, flexibility, design accuracy, and precision.